The CEO of a Canadian marijuana company says his firm partnering with rapper Snoop Dogg to get ready for marijuana's eventual legalization and regulation in Canada. The CEO of a Canadian marijuana company says his firm is partnering with rapper Snoop Dogg to get ready for marijuana's eventual legalization and regulation in Canada. The Long Beach, Calif., rapper has penned lines about marijuana early and often since breaking onto the music scene in the early 1990s. Thursday he announced his company, LBC Holdings, is giving Tweed Inc. of Smith Falls, Ont., exclusive rights to unspecified "content and brands" in exchange for cash and company stock. 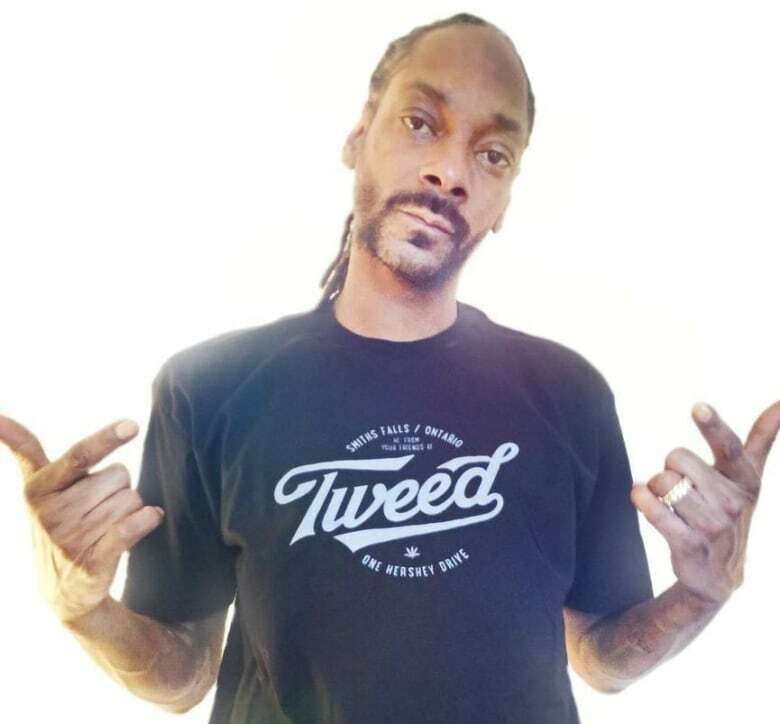 Tweed CEO and chairman Bruce Linton said Friday his company had been "interacting" with Snoop and his representatives for nearly two years. 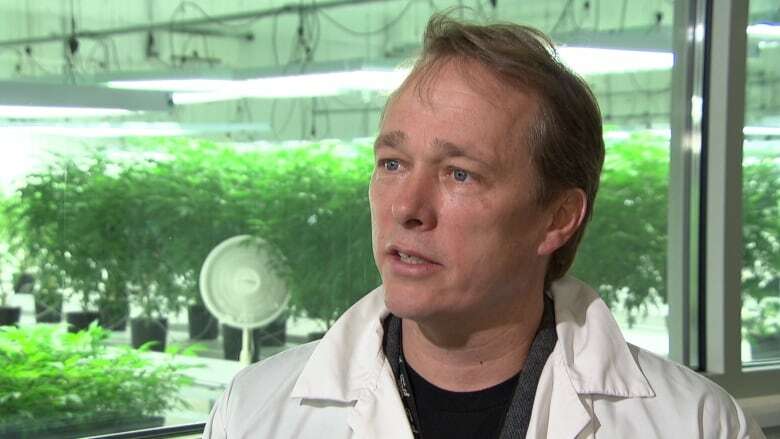 "Initially he's coming on as, I'll call it, a 'key icon adviser,' but behind that there's obviously quite a number of products he's introduced to the market — some brands that work very well with the marijuana sector — and we hope to look to those things over time," Linton told CBC News. Snoop, née Calvin Broadus, launched his own cannabis line in Colorado in November, and has a marijuana-focused venture capital fund named Casa Verde Capital. Linton said Snoop has helpful experience as an entrepreneur in states such as Colorado where marijuana has been legalized, which the federal government has promised to do in Canada. "How do we take these products which are medicinal and think about how to package them as recreational?" Linton said. "When we get to recreational access you don't want to just have a name or a single product, you want to have a portfolio and I think he'll be very helpful with that." The partnership signals a marketing shift from Tweed's start as a medical marijuana producer to more of a preparation for legalization in Canada, according to a University of Ottawa professor. "It really had this heavy medical positioning strategy where they were using a lot of people in lab coats, scientific props and evidence to show a level of professionalism and seriousness to sort of legitimize marijuana as a treatment for chronic pain," said Michael Mulvey, an assistant professor of marketing. "What we're seeing now is they're interested in the bigger picture, moving from the medical niche market to the broader recreational market. The imagery they were using originally doesn't necessarily have the same cachet, appeal or relevance to recreational users." Mulvey said it's certainly interesting to see a famous California rapper wearing a shirt that says "Smiths Falls," but he wonders how Dogg's image will affect the medical, scientific side of their company as they look to reinvent themselves. "He's the mellow guy with people hanging out by the poolside," he said. "He's a quintessentially hedonistic man in pursuit of happiness, something a lot of people could relate to philosophically or perhaps aspirationally. It could be a good fit there."